Improving the appearance of the smile can do wonders in boosting the self-esteem of an individual. It is very difficult to smile widely in a spontaneous way, if teeth have unsightly stains or discolourations; irregularly shaped and decayed teeth also cause smiles to become unattractive, and can cause embarrassment for the individual. The issue of crooked teeth can also make an otherwise great-looking smile look less than pleasant to look at, and can ruin the entire smile’s appearance. Dental veneers are used in cosmetic dentistry to effectively improve the appearance of teeth that suffer from stains or discolourations, irregular shapes, decay, or improper alignment. Porcelain veneers provide an option for a dentist in Kent to improve the appearance of one’s smile without having to perform more extensive dental procedures. Dental veneers are porcelain shells that are customised to perfectly fit into the front part of a person’s tooth (or teeth).The veneers are created to be extremely thin so that they can be placed on the front surface of the patient’s tooth – improving the appearance of teeth in a natural looking manner. Stained/Discoloured Teeth – Dental porcelain veneers by a Kent dentist can effectively remedy stained or discoloured teeth problem – especially if the stains or discolourations cannot be removed by teeth whitening alone. The front part of the stained/discoloured tooth can be covered with the thin porcelain veneer to improve the overall appearance of that tooth. Broken or Chipped Teeth – Chips or damages on the surface of a tooth can be fixed with dental veneers. The thin custom-made porcelain shells will not only improve the appearance of a chipped or broken tooth – it can also provide additional protection so that the damaged part will not worsen or affect other tooth structure. Spaces or Gaps between Teeth – Small gaps or spaces between teeth can make a smile look incomplete and unattractive. These small spaces can be filled out with the help of porcelain dental veneers, which can be placed in areas where the unsightly spaces or gaps are located. 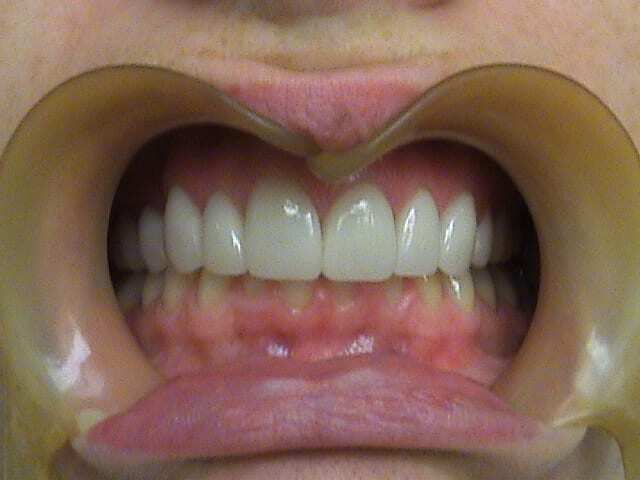 The smile can then look more complete and symmetrical without the spaces and gaps between teeth. Misaligned or Cooked Teeth – Crooked or misaligned teeth can lessen the impact of an otherwise attractive smile. Minor problems in the alignment of teeth can be solved with dental veneers, so that the teeth can take on a straighter, more properly aligned appearance. Worn or Irregularly Shaped Teeth – Teeth that have irregular shapes (or those that have a worn appearance) can appear to be abnormally small compared to other teeth that are normal-shaped or sized. The smile can then lose the symmetry that is needed to make its overall appearance look attractive. 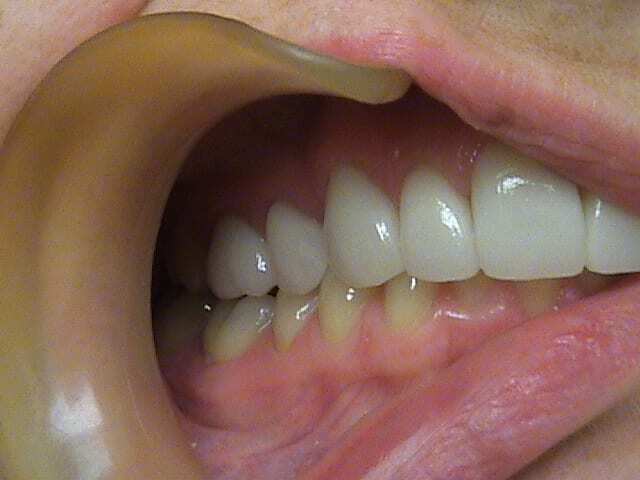 Porcelain veneers can be used to improve the shape and size of worn, or misshapen, teeth. The Kent dentist will thoroughly examine the patient’s teeth to determine which aspects need to be improved with dental veneers. A discussion with the patient will also be necessary to determine the patient’s expectations and goals, so that an appropriate treatment plan involving the porcelain dental veneers can be made to achieve the desired end-result. Diagnostics such as the obtaining of x-rays, CT scans, and digital images of the teeth may also be carried out in preparation for the treatment planning; impressions of the patient’s teeth may also be necessary in this stage. The area where the porcelain dental veneers will be placed will need to be numbed using a local anaesthetic; there may be cases when the anaesthetic is not needed, depending on the decision made by both the dentist and the patient. A portion of the tooth will need to be removed to make way for the improvements that the custom-made porcelain veneers will bring. An impression of the teeth will then be taken, to assist in the creation of the customised porcelain veneers in a laboratory; the creation of the customised veneers may take one to two weeks, but can be finished within the same day when CAD/CAM technology is used. Before the customised dental veneer is bonded permanently to the tooth, the dentist will first examine its colour, shape, and overall appearance to determine if these features match or complement the surrounding teeth. Minor adjustments -such as trimming of the porcelain shell for a more perfect fit, or adjustments in the veneer colour – will be made before the dental veneer is attached to the tooth that needs to be improved. The tooth that needs to be improved will then be polished, cleaned, and etched to ensure strong bonding with the surface of the dental veneer. A special bonding material will be used to attach the porcelain shell to the surface of the tooth; a light beam will be directed to the tooth to harden and permanently bond the dental veneer to the tooth’s surface.